OUR CURRENT PROJECT AT MONOCACY HILL WILL INVOLVE HERBICIDE TREATMENT OF AILANTHUS TREES. 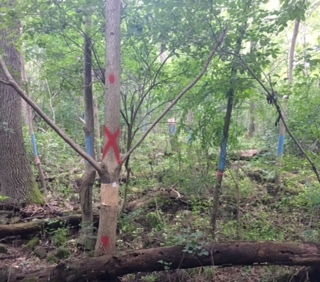 THE TREES HAVE ALREADY BEEN MARKED BY THE PA DEPT OF AGRICULTURE AND THE USDA FOR TREATMENT LATER THIS YEAR. THIS FALL WE WILL BE RESTORING THE TREATMENT AREAS BY PLANTING NATIVE TREES. OUR TREE PLANTING WILL BE DONE ON SUNDAY OCTOBER 21 AT 10 AM . CALL 610 385 3226 IF YOU WOULD LIKE TO HELP. HERE IS THE BACKGROUND INFORMATION ON SPOTTED LANTERNFLY AND AILANTHUS TREES. SPOTTED LANTERNLFY IS AN INVASIVE INSECT FROM SOUTHEAST ASIA THAT ARRIVED IN BERKS COUNTY IN 2014. THE PRIMARY FOOD SOURCE FOR THE THIS INSECT IS THE AILANTHUS TREE WHICH IS ALSO AN INVASIVE SPECIES. THESE ARE PHOTOS OF AILANTHUS TREES. THEY GROW PROLIFICALLY IN DISTURBED AREAS , RIGHT OF WAYS AND HIGHWAY CORRIDORS. 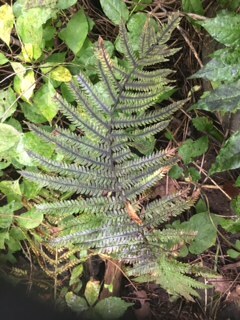 TO IDENTIFY THEM , LOOK FOR THE NOTCH AT THE BASE OF EACH LEAFLET. THE LEAVES ALSO HAVE A STRONG UNPLEASANT ODOR. DO NOT CONFUSE AILANTHUS WITH NATIVE SUMAC OR WALNUT TREES. 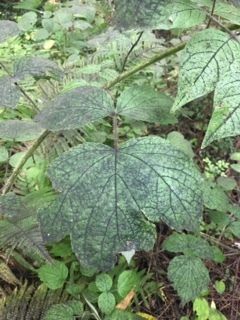 THE LEAVES ARE SIMILAR. 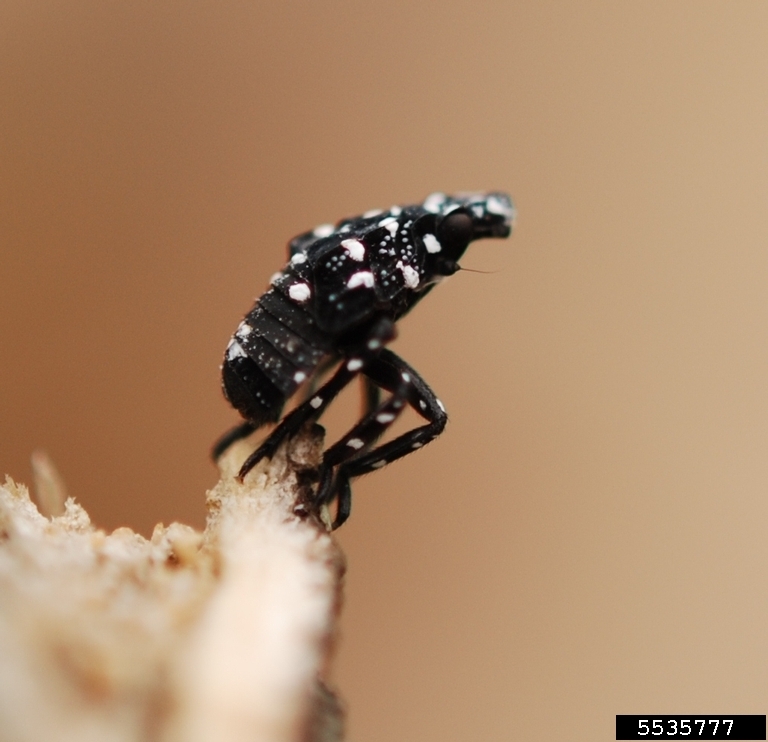 THE SPOTTED LANTERNFLY HAS NO KNOWN NATURAL PREDATORS IN THE US. IT CAN FEED ON A VARIETY OF OUR NATIVE TREES. THEY CAN JUMP AND FLY A GOOD DISTANC AS ADULTS. WHILE THEY ARE UP IN THE TREES FEEDING , THEY ARE DROPPING A STICKY WASTE ON EVERYTHING BELOW. THIS STICKY SUBSTANCE ATTRACTS SOMETHING CALLED SOOTY MOLD ,TURNING LEAVES AND PLANTS BLACK. THIS WILL EVENTUALLY KILL THESE PLANTS. THE DAMAGE TO GRAPEVINES , FRUIT TREES AND LUMBER TREES IN PA COULD BE SUBSTANTIAL. YOUR OWN LANDSCAPING PLANTS AND TREES COULD SUFFER FROM THIS ALSO. YOU CAN HELP BY KILLING ANY SPOTTED LANTERNFLIES YOU SEE, REMOVING EGG CASES AND REMOVING ANY AILANTHUS TREES YOU HAVE ON YOUR PROPERTY. IF YOU TAKE DOWN AN AILANTHUS TREE, THE STUMP MUST BE TREATED WITH AN HERBICIDE, OR IT WILL RESPROUT. EGG CASES CAN BE FOUND ON ANY SMOOTH SURFACE INCLUDING LAWN EQUIPMENT , ROCKS, TABLES, ETC. FOR MORE INFORMATION GO TO THE PA DEPT OF AGRICULTURE WEBSITE BELOW.